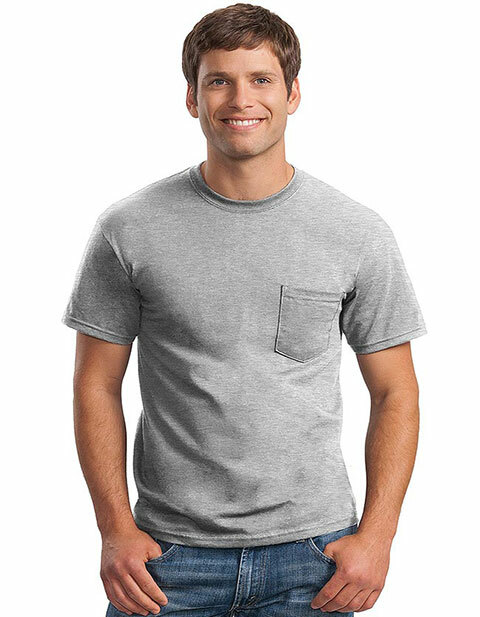 This is a Gildan half sleeves basic t-shirt that's made of 6.1-ounce, 100% cotton. Like most 100 cotton t shirts, it fits just right. It's styled in a seamless double-needle collar, double-needle sleeve and taped neck and shoulders for that easy to wear, professional look. A single chest pocket is provided on the left side wherein you can place small paraphernalia and other personal belongings. This top is available in seven colors to choose from. Size range starts from S to 5XL.